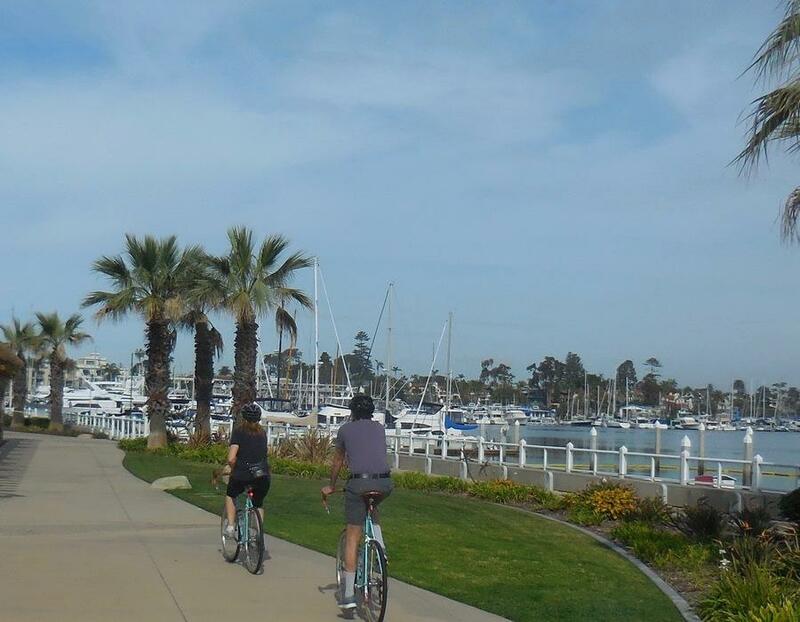 Visit iconic San Diego and quaint Coronado in a single fun ride. 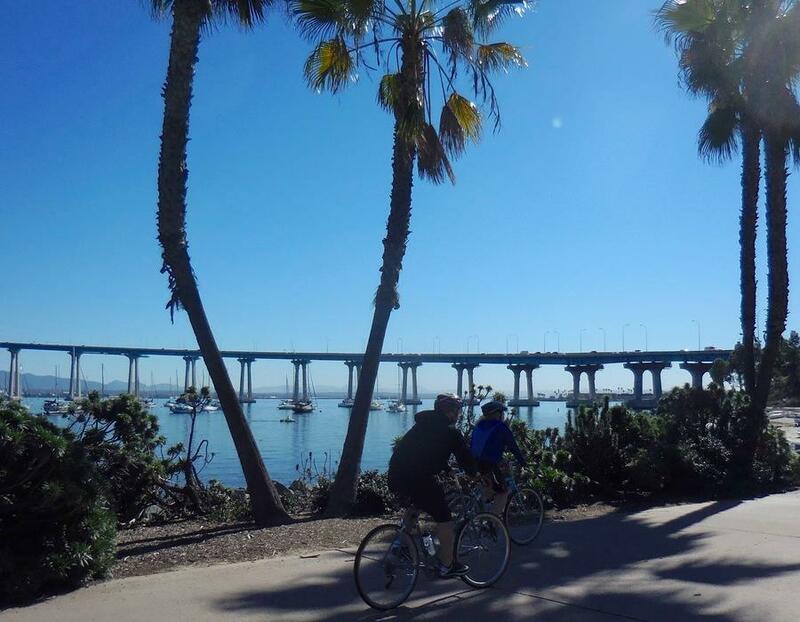 Beginning at the Gaslamp Quarter we visit Balboa Park, Little Italy and the San Diego waterfront where we catch the ferry to cross and recross San Diego Bay for our visit to bike friendly Coronado on this two-city tour. 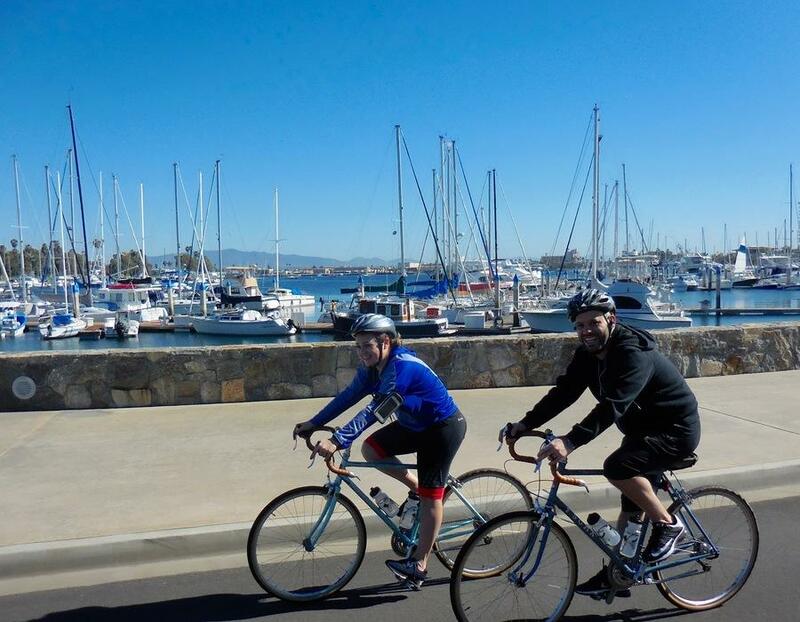 It is impossible to share how great Tony and Bike Ride San Diego are. I would recommend him to everyone. The bikes are of incredible quality and equipped with great components. We were 3 riders of differing abilities and Tony helped us with a route that turned out to be perfect for all of us. During the ride, Tony gave us great history and trivia of the areas, as well as controlled our pace perfectly for all of us. On top of it, he is just a great guy, someone who I'd hope to have as a regular bike riding buddy if I lived in the area. Please book a ride with him...I promise it will be the highlight of your trip to San Diego! Beginning in Gaslamp Quarter we’ll visit San Diego’s nightlife hub and neighboring PetCo Park, home of the San Diego Padres. 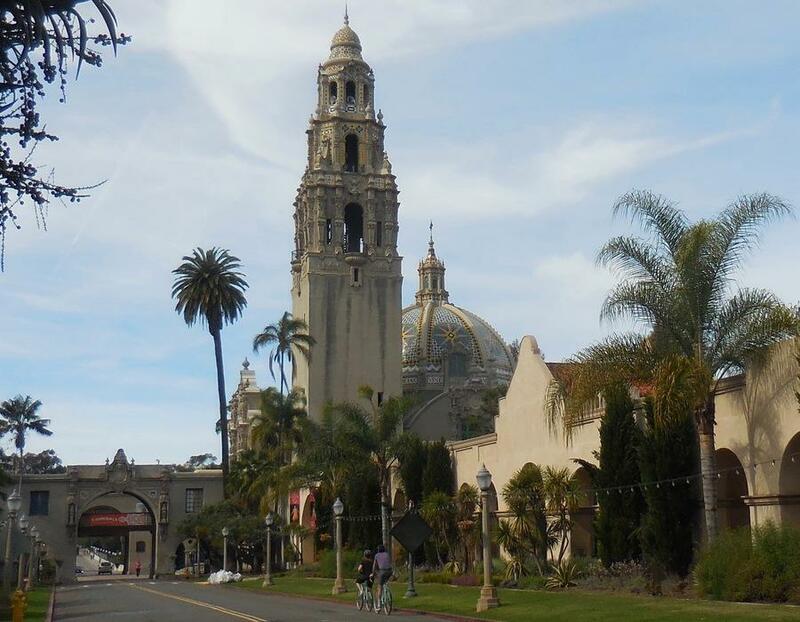 Next up, the always popular Balboa Park, centerpiece of iconic San Diego with museums, gardens, fountains, and theaters all in spectacular Spanish Colonial architecture. Leaving the Park for Banker’s Hill we’ll discover three bridges that knit this neighborhood together circa 1910's. 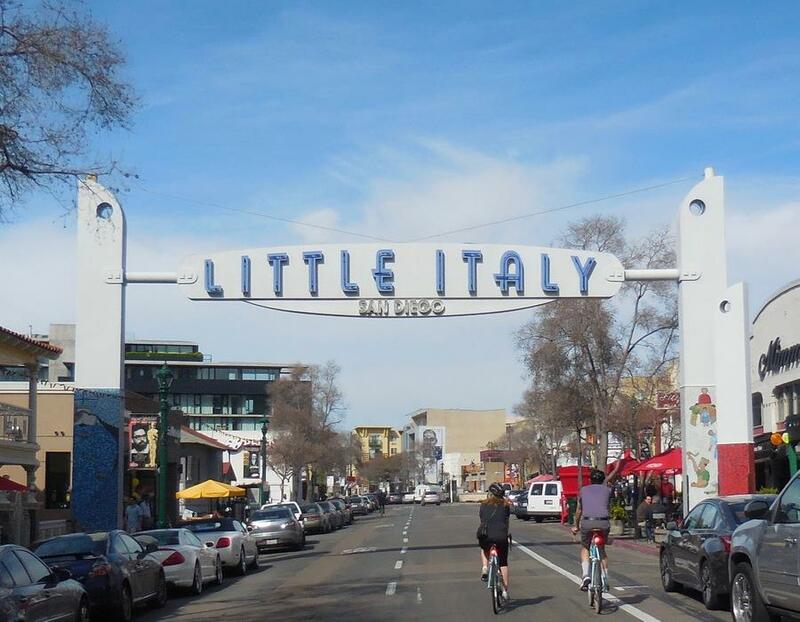 Next up, a roll down to Little Italy and its current incarnation as Mediterranean fishing village gone trendy. A little more downhill gets us to the County Administration Building and the waterfront where we’ll see the Maritime Museum, the USS Midway and the remainder of a once preeminent tuna fishing fleet. That done we'll take a 15 minute ferry ride across the bay to Coronado where we take the bayside bike path under the Coronado Bridge and beside the Municipal Golf Course. We then ride through the neighborhoods to pristine Coronado Beach, historic Hotel Del Coronado and Naval Amphibious Base Coronado, home to SEAL Team 5. That done, we'll retrace our steps for a return ferry ride and back to our start at Gaslamp Quarter. This is an overall easy ride through some of the most popular areas of San Diego. With scenery ranging from rich and historic to expansive and spectacular. 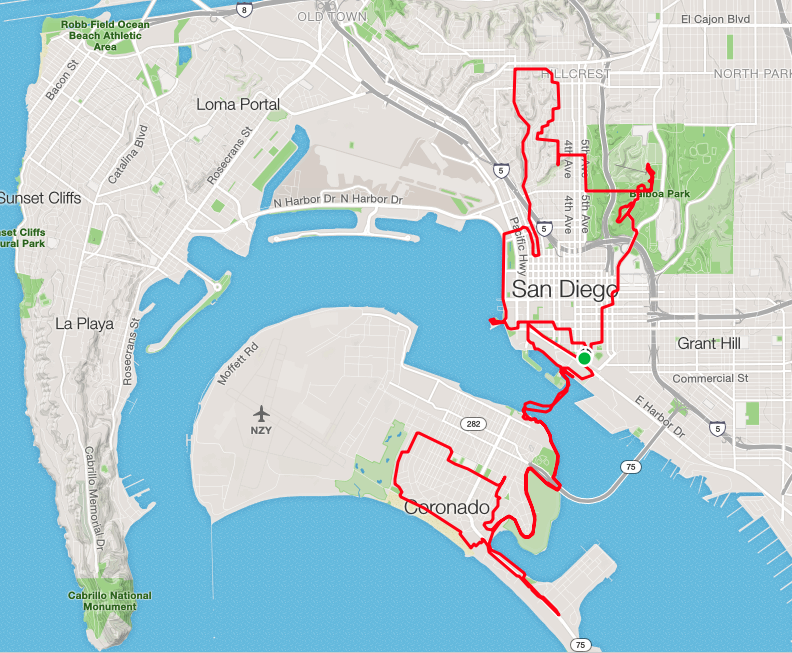 A small climb from Gaslamp Quarter to Balboa Park (200 ft in two miles) is the longest on the route and it’s usually interrupted by traffic signals which make it quite doable. We cross train tracks several times and walk across two foot bridges and share bike paths with pedestrians in several places. Road surfaces are generally good condition. This route is recommended for novice or experienced riders looking to transit the iconic and the quaint. Coffee or food stops are sprinkled throughout this ride. Gaslamp Quarter, Petco Park, a moderate climb to Balboa Park, Bankers Hill, a fun descent into Little Italy, San Diego waterfront, ferry ride to Coronado, San Diego/Coronado Bay Bridge, Glorieta Bay, Coronado Business District and neighborhoods, Coronado Beach, Hotel Del Coronado, Naval Amphibious Base Coronado, ferry ride back to San Diego. An early to mid morning start works well for this ride. We can stop in Balboa Park, Little Italy or Coronado for coffee or a bite to eat. We will stop along the route for water and restrooms as needed. Variations to shorten the route are possible. Cycling undershorts are available for $20.00.